PADI Open Water Diver course (inclusive of certification if mastery achieved). PADI Advanced Open Water Diver course (inclusive of certification if mastery achieved). All rental of dive equipment. All necessary course materials (student manuals, dive slate and tables, logbook). 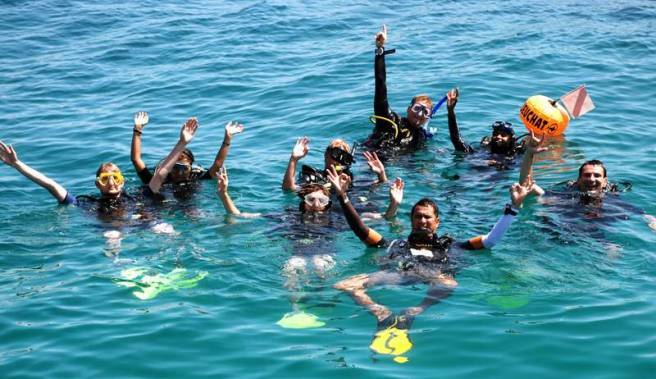 Up to 5 dives to be accomplished on dive boat (Packed lunch and refreshments will be provided on board, depends on time available and weather conditions). 5 nights accommodation as stated in the package. Daily meals other than stated. Transfer from Mersing jetty to Tioman jetty. Marine Park and Johor National Park Fee. Tourism Tax (For Non Malaysian Guest). In case the ferry schedule is not favorable to the diving course schedule, extended stay may be required. In case of course extension is required, RM200 per day will be charged. Guest must arrive with a morning ferry and depart with an afternoon ferry on the last day to have sufficient time to complete the course.